If you’re a PC gamer, there’s a very good chance that you use the Steam store to buy your games. Valve, the company behind the store, has announced that the store is getting a big redesign, with plenty of new features that will make finding and buying new games easier. First of all, the Steam client – which is the desktop application you use to buy games and launch them – is getting a substantial overhaul. According to Valve, the Steam Library (which lists all your purchased games) will be reworked, based on the update to Steam Chat that Valve shipped in 2018. Valve is also working on a new recommendation engine powered by machine learning that will recommend games to players based on their tastes. Valve also announced that it is bringing Steam to China in partnership with Perfect World, with more details coming soon. There will also be a new way of finding events such as tournaments, streams and weekly challenges, and Valve is working on expanding Steam TV so that it supports more games. Valve is also introducing a feature known as Steam Trust. Based on the anti-cheat Trusted Matchmaking tools used in Valve’s popular CS:GO online game, the technology is getting an upgrade and will become an integrated feature in Steam that will be available to all games. According to Valve, this will help you identify players who are likely to be cheating at a game. 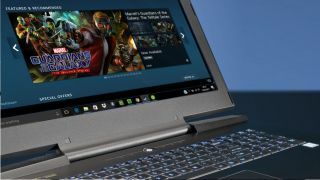 There will also be a new Steam Chat mobile app, and the Steam PC Café Program will see Valve working with Internet Cafes to provide a better gaming experience. So, we can expect some big changes to Steam in 2019, which is just as well, as it faces growing competition from established rivals, as well as the recently-launched Epic Games Store.